IPL 2018 KKR vs CSK live streaming will be provided by official broadcasters. You can watch Kolkata Knight Riders vs Chennai Super Kings live cricket match today online on Hotstar, Jio, AirTel, and Star Sports. It’s the season 11 of annual championship – Indian Premier League and today’s match number is 33rd of 60. Today match of IPL t20 KKR v CSK will start at 8 pm IST after toss have taken place at 7:30 pm IST. The 30 minute time gap is given in every game to get players of both the teams on the ground. If you want to watch the latest updates on TV, go to Star Sports 1/ HD and Star Sports Select 1 / HD for English commentary. If you feel comfortable with Hindi commentary, then the channels are Star Sports 1 Hindi / HD. However, if you don’t have the luxury of television, then you can go for online streaming options. You can stream it live online on Hotstar.com, Hotstar app, Jio TV app, and AiTel Tv app too, for free in HD. As of before this match, Super Kings is the table topper of the 2018 IPL Points table with 12 points – winning 6 and losing 2 matches in 8 games played so far. While, Knight Riders is at number 4 with 8 points – winning and losing 4 each in total of 8 matches so far. Kolkata need to win this game if it wants to clear its path for the playoffs. Even if Chennai losses this match, it won’t hamper its place in the playoffs, in any way. 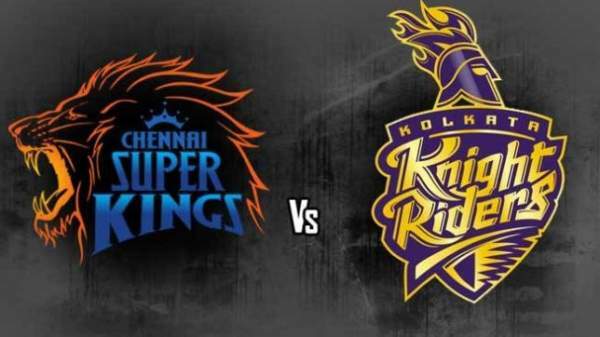 This is the home match to KKR and will be played at the Eden Gardens stadium located in Kolkata city itself. Undoubtedly, the pressure will be on home side led by Dinesh Karthik as KKR is already on the 4th spot and they won’t want to slip down further. The team’s inconsistency has been a cause of concern in this edition. In this tournament, when the two teams met, CSK led by MS Dhoni won by 5-wickets on the last ball. Super Kings has been in good form especially with captain being in a very good form. In its last game with Delhi, Dhoni managed to score 51 off 22 balls. Knight Riders will have a tough task ahead of them to defeat an in-form consistent performing side.